A poker room built on blockchain technology, CoinPoker is a well and truly on its way to revolutionizing the concept of online poker with the launch of the first Crypto Series of Poker (CSOP). These daily tournaments will take place between May 27 and June 3, offering a total prize pool of ten million CHP (the official cryptocurrency of the platform). 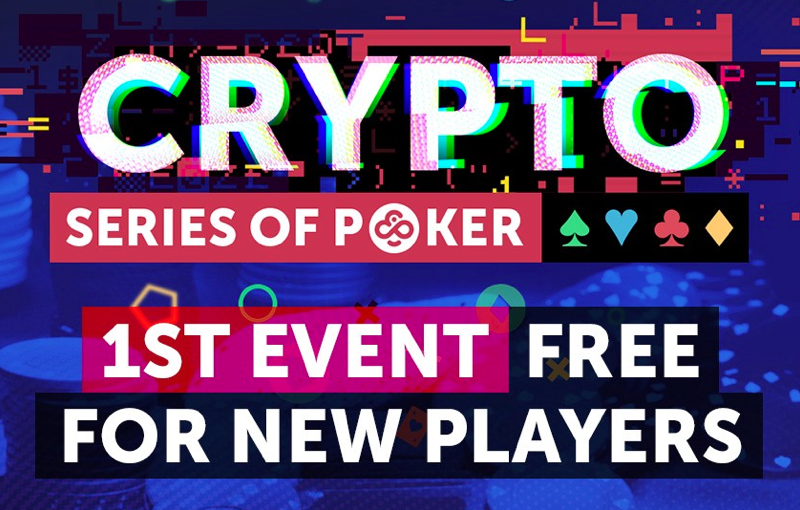 CoinPoker, a cryptocurrency-based online poker room built on trust and transparency, is delighted to announce the official launch of the first Crypto Series of Poker (CSOP). This unique poker series has been launched to give back to the adopters that have supported CoinPoker from its earliest stages of development. The series will comprise of daily tournaments taking place between May 27 and June 3, and the total prize pool for it will comprise of ten million CHP, the official cryptocurrency of CoinPoker. “Join in on a week of daily tournaments taking place between May 27 and June 3. The series kicks off with quarter and half a million CHP prize pools, and ends with an epic final event where 2,500,000 CHP is yours for the taking,” said a senior spokesperson from CoinPoker. Although the popularity of online poker has increased by leaps and bounds over the last few years, the players still encounter several complex problems such as lack of control over the funds, lack of transparency in technology, problematic withdrawal processes, and high burn rate for the recreational players. CoinPoker’s online poker platform utilizes a fully decentralized set of contracts to eliminate or limit the major problems faced by the online poker community. Operating on Ethereum smart contract based crypto-currency protocols; CoinPoker recently introduced their new cryptocurrency named CHP. The advantage of this cryptocurrency is that it can be purchased online from anywhere around the world, offers a very high speed of processing, and can be used to play poker on the CoinPoker platform. Since its introduction, the value of CHP token has experienced a steady increase. Prior to the introduction of the Crypto Series of Poker, CoinPoker attracted the attention of the poker enthusiasts around the world by partnering with some of the largest poker tournaments in Asia. They teamed up with the Japanese Poker Association (JPA) for this year’s Japan Poker Cup that started in April and will continue till August. Nine thousand players from as many as sixty poker venues in Japan are expected to compete for the cup and a probable seat at the next WSOP. By sponsoring Japan Poker Cup, CoinPoker has made significant contribution towards assisting the Japanese Poker Association achieve their vision for making poker accessible to all residents of Japan. CoinPoker also collaborates with the Asian Poker Tour, one of Asia’s most exciting poker tournaments with the track record of staging more than eighty major events and numerous smaller tournaments mostly in the Asia-Pacific Region. About CoinPoker: CoinPoker is a poker room built on blockchain technology that offers fantastic value for both poker players and cryptocurrency community members alike. The platform also has its own cryptocurrency CHP that can be used to play poker safely and comfortably on the platform. They have just launched the first Crypto Series of Poker (CSOP). Crypto currencies aiming to revolutionize a gambling industry.